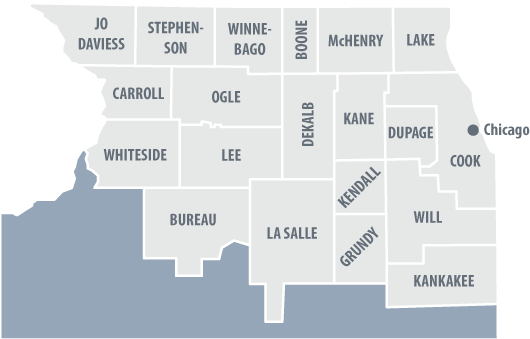 This site was created to help people locate radon testers in the Northern Illinois areas. This site lists many licensed testers and information about what other services they provide. Looking for a radon tester in your area? Click on your county on the map below. Click on the Find Other Services link to find radon testers that also provide other services such as home inspection, mold, lead, and asbestos. Need a testing or mitigation company outside of Illinois? Try the resources at our Links page.